Avada 3.7.3 newest version : Released on January 24th, 2015. 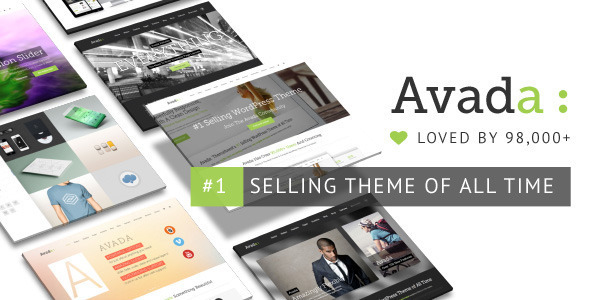 Avada is so clean, super flexible and has a fully responsive design! This theme sets the new standard with endless possibilities, top-notch support, and free lifetime updates with newly requested features from our users. And its the most easy-to use theme on the market! Avada is very intuitive to use and completely ready to operate out of the box. Built with HTML5 & CSS3, a lot of thought and care went into this theme making it a pleasure to use. Avada has a ton of incredible user reviews and lots of awesome features. The clean design can be used for any type of website; business, corporate, portfolio, blog, products, etc. Come join the 50,000+ users and be a part of this awesome community! 60,0000+ users can’t be wrong, read our user testimonials above!